My two favourite little dudes, Henry and Otis, had their second birthday recently and I wanted to make them something special. 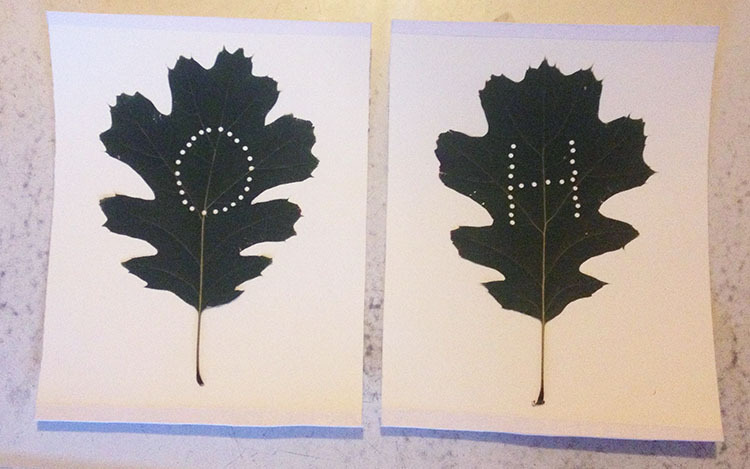 I wanted it to be something to do with nature and something to do with New York, so I came up with this oak leaf letter art. 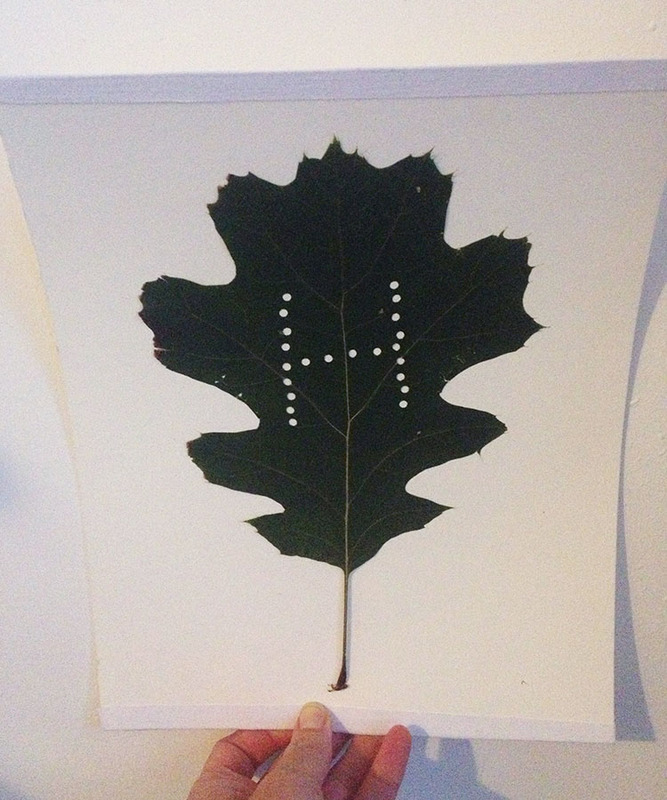 I collected the leaves from oak trees in our street here in Brooklyn and wrote a little passage on the back of each card about oaks and about where the leaves came from. They are pretty self-explanatory, but in case you want a DIY, here’s how to make them! 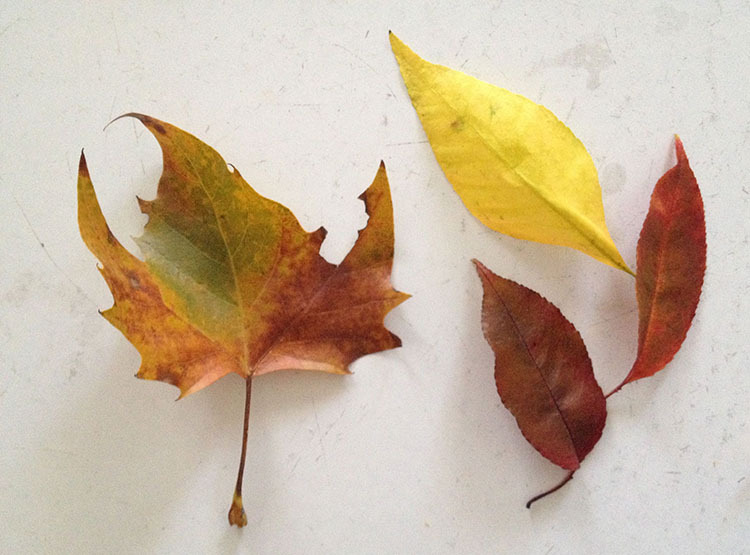 Collect some leaves. I made these oak leaf letters a month or so ago now when the leaves were still green, but now that it’s autumn here I’ve been having fun with some pretty red, orange and yellow leaves, too. Just make sure your leaf is nice and soft and hasn’t started to crisp up yet. 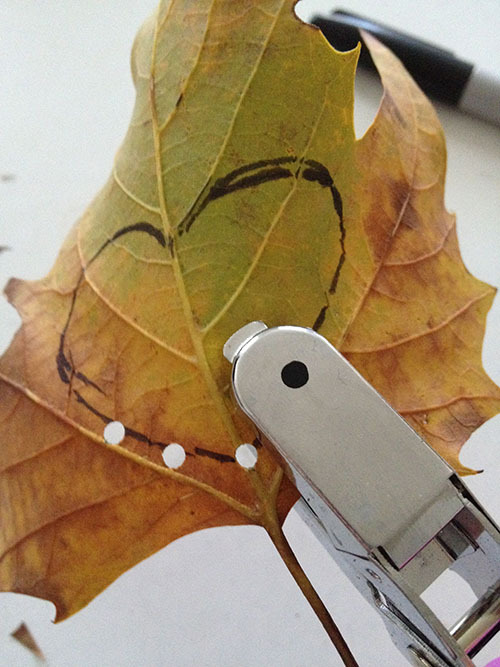 Work out your design (letters and simple shapes work best), and draw it roughly on the back of the leaf with a marker. I didn’t both with this step for the letters because they were such simple shapes, but it does help to keep your lines straight! You may not want to use the marker on a light yellow leaf as it might show through, but other colours should be fine. 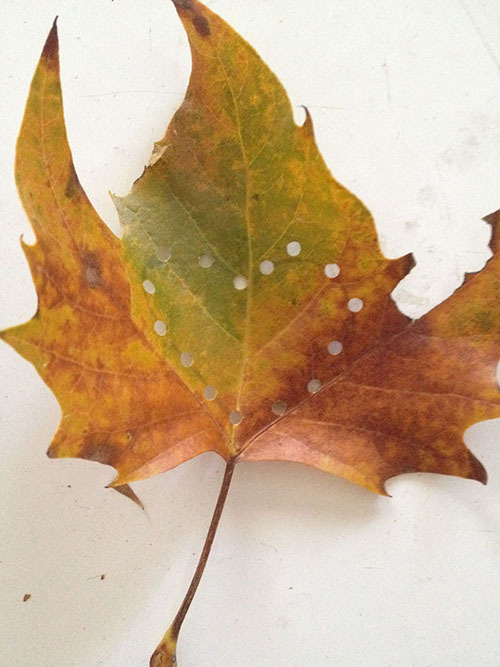 Start punching holes along the line, coming in from the edges of the leaf. You may have to scrunch your leaf a little to get to some spots closer towards the middle of the leaf (particularly if it’s a big one), which is why it helps if your leaf is nice and fresh rather than crispy! Keep your holes evenly spaced and around 5mm apart. You could use a regular hole punch rather than a mini one but I think the effect with the mini one is much better, plus they usually have these handy dots on the top that show you exactly where your hole will be so it’s easy to keep them evenly spaced. 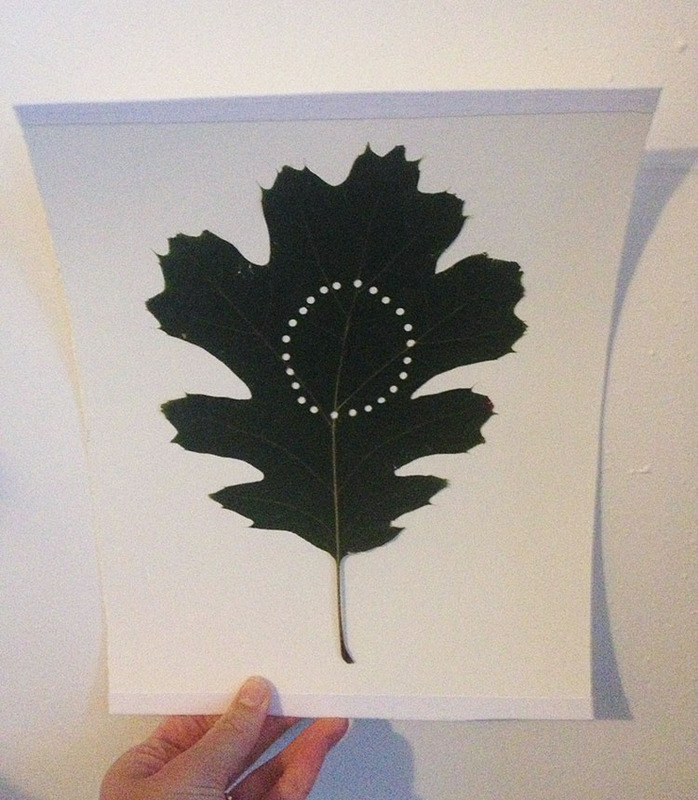 Once you’ve gone all the way around your shape, turn the leaf over and check how it looks. Press your leaf in a flower press or in the pages of a heavy book for at least a week. This way it will dry nice and flat instead of curling up. Once your leaf is dry, apply glue to the centre of a piece of thick card and attach the leaf – this is much easier than glueing the leaf as it will be very fragile and may end up tearing. Finish off the top and bottom edges of the card with a line of fabric tape. 25 Oct	This entry was published on October 25, 2013 at 12:01 am. 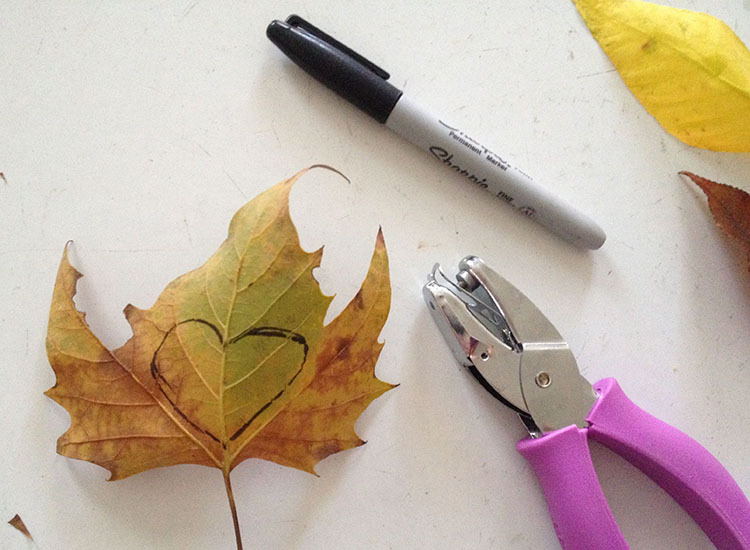 It’s filed under grow, make and tagged autumn, DIY, give, green, make, wrapping gifts. Bookmark the permalink. Follow any comments here with the RSS feed for this post. Thank you! They’re so beautiful!!! !